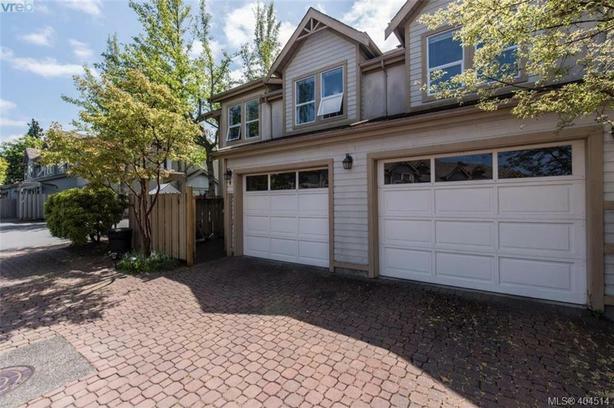 Lovingly cared for townhouse in the desirable neighbourhood of Cedar Hill in Saanich East! Downstairs include updated kitchen, living and dining areas. Stainless steel appliances throughout the kitchen which opens up to a private back patio. 3 generously sized bedrooms upstairs with in-suite laundry. Master bedroom with ensuite and over sized walk-in closet. Secured garage parking and another parking space across from the unit. Lots of storage throughout property. Close to all amenities and just minutes away from UVic and Camosun College. Come make this your Destined Townhouse!